Samsung is going to introduce three products from its Creative Lab (C-Lab) at CES next month. The three concepts include the WELT smartbelt, a device that helps you keep track of your waist size, eating habits, and the number of steps you take every day. WELT does function as a belt, holding your pants up. By keeping an eye on how long you are sitting down, the smartbelt makes sure that you are active, moving and losing weight. Data collected by the belt goes to a special app where it is analyzed and is used to develop personal healthcare and weight management plans. Also appearing at CES is rink. This is a hand-motion controller for VR devices that makes it a snap to control games or VR content, simply by moving your hands. According to Samsung, "The ability to intuitively control the game or content just by using their hands provides consumers with a much deeper level of mobile VR immersion." TipTalk allows you to listen to sounds from your smart devices by simply touching your ear with your finger. No headset or earphone is required. Calls sound clearer, allowing you to maintain a conversation in a crowded and noisy environment and still understand the other caller. TipTalk resembles a watch strap and can be added to smartwatches like the Samsung Gear S2. The product can sync with smartphones,"enabling Text-to-Speech (TTS) functionality." Samsung's Creative Labs has completed 70 projects since launching in 2012. 40 of the projects are being worked on by one of Sammy's other business units, with nine considered to have high potential. One of those is TipTalk. CES starts on January 6th, running through the 9th. We will be there to provide you with the latest news, announcements, videos and more. If you don't want to miss what is taking place in Vegas this year, keep your eyes right here! All Of These Are Better Than That Lame Ring They're Working On. They Aren't Working On The One Ring LOL. I still stand for whay I've said. Apple actualy have no idea for most their patents. interesting, however i think the belt can be SO much more. 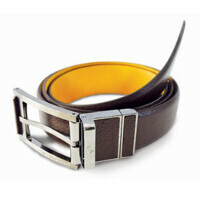 How about a belt that as a wireless charger in it with that flexible battery technology? with all that motion and other things, and maybe a few buttons on the right or left side like mute incoming calls or pause music? I think there is quite a few things you can do with it. Samsung already have Wire looke alike Battery. It is for their future flexyble devices. But, you have a very good idea. new year, new crazy devices. I remember my mom giving me the belt, for getting smart. Rink and TipTalk is very attractive.